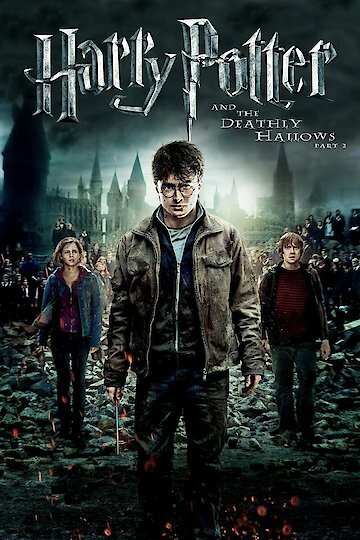 Harry Potter and the Deathly Hallows Part 2 finds Harry Potter and his sidekicks, Ron and Hermione, at Shell Cottage, having just escaped another encounter with Voldemort at the Malfoy Mansion. Not everyone escapes unscathed and after burying a dear friend they stay at the Cottage for a little while to nurse their wounds and plan their next move. Harry Potter, a young wizard whose fate has been entwined with the Dark Wizard's Lord Voldemort since the day he was born, has been faced the task of killing the most dark wizard of all time. With a bit of guidance, and help from his friends, he must hunt down the 7 pieces of Lord Voldemort's soul, also known as Horcruxes, and destroy them. Only then will the Dark Lord be weak enough to be killed. As Harry, Ron and Hermione race against the clock, trying to reach the Horcruxes before Lord Voldemort realizes what they are doing, they uncover a tale about the 3 most magical objects of all time, and discover it may be more than a tale. In the second part of the conclusion of the Harry Potter saga, Harry must uncover the truth about the tale of the Deathly Hallows and decide if they will be of help during his quest to find Horcruxes. While at Shell Cottage, Harry interviews both Griphook the Goblin and Olivander the wandmaker, one about the Hallows and one about how to reach the next Horcrux. A plan evolves and the three attempt the impossible, to break into Gringotts. After their attempt is disastrous, but successful, Harry gets another glimpse into The Dark Lord's mind and discovers that the final Horcrux is at Hogwarts. The three make their way to their old home and are greeted by their friends, who are worn from Snape's guidance at the school but ready to rise up and fight. Soon Harry and his old schoolmates are facing the battle of a lifetime. Appropriately enough, the final face off between the "Boy Who Lived" and "He Who Must Not Be Named" takes place in the very place where Harry discovered his magical heritage. Hogwarts is soon the scene of an epic battle between good and evil, with everyone Harry has ever cared for fighting for his cause. With his Horcrux mission completed Harry must face the destiny that has been his since the day he was born. Harry Potter and the Deathly Hallows: Part 2 is currently available to watch and stream, buy on demand at Amazon, Vudu, Google Play, iTunes, YouTube VOD online. We're betting you didn't notice this one. The "Harry Potter" actress is tired of the misinformation out there about what feminism truly is. Want to sleep in the Gryffindor common room? Now you can! Artist Jonny Duddle reimagined the covers for all seven books, and the result is gorgeous! The "Harry Potter" family is mourning the death of one of their own today. British actor Dave Legeno, who played the villainous werewolf Fenrir Greyback in the Harry Potter movies, was found dead on a hiking trail in Death Valley, California, on July 6. According to reports from police, the 50-year-old actor had been hiking the trails, which are in one of the hottest and driest places in America, when a hiker unacquainted with Legeno discovered his remains. Every dog has its day. All of these dogs may have just had theirs. Daniel Radcliffe, who has already given the world the gift of all eight Harry Potter movies, has just given us the greatest photo that has been or ever will be taken of him. This is not hyperbole. Look at this photo. Daniel Radcliffe does not give a f**k. Not even a single, solitary f**k. If he wants to tie nine dogs to his belt and walk them down the street while smoking a cigarette, then dammit, that's what he's going to do. Ten points to J.K. Rowling! The "Harry Potter" author has given her fans the gift they thought they'd never get: another story in the Harry Potter universe! Rowling has published a brand-new short story about her internationally famous character on the Pottermore website for fans to read. The story is one of a series that Rowling has been writing about the Quidditch World Cup, in celebration of the actual World Cup happening in Brazil. David Yates and Warner Bros. begin to collaborate on a new Tarzan for our viewing pleasure. Is it flattering to be this popular, or just disconcerting to be the means to ill-gotten gains? We suppose the latter. Either way, Emma Watson has surpassed Heidi Klum as the Internet's most "dangerous" celebrity to search. What happens when you put all of the world's best young adult novels up for a fan vote? As you might imagine, "Harry Potter" and "The Hunger Games" do quite well.